47Things is a start up, bringing together a selection of carefully selected products from local craftsmen and others from further afield. 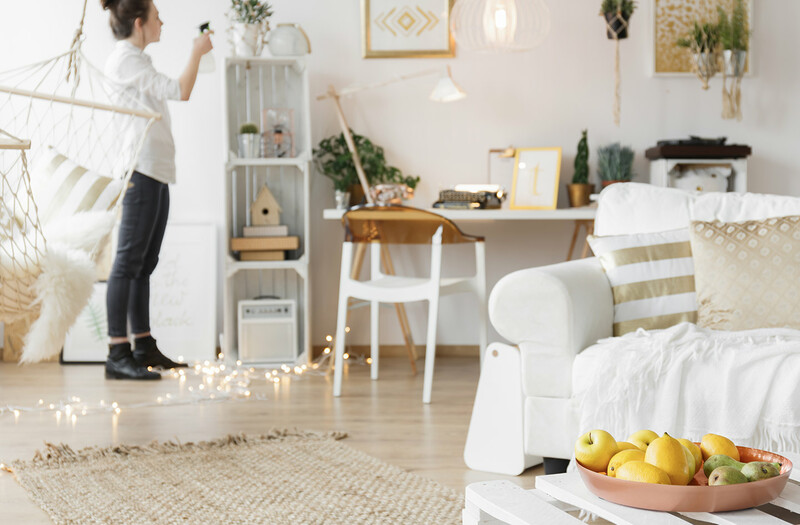 The branding of the website is important in highlighting the ethos of the company in sourcing products from ethical sources and communicating a feel for the Danish concept of 'Hygge'- part of our client's inspiration for the look and feel of the site. The simple menu structure provides a clear navigation and large lifestyle imagery highlights the key brands that 47Things supports. 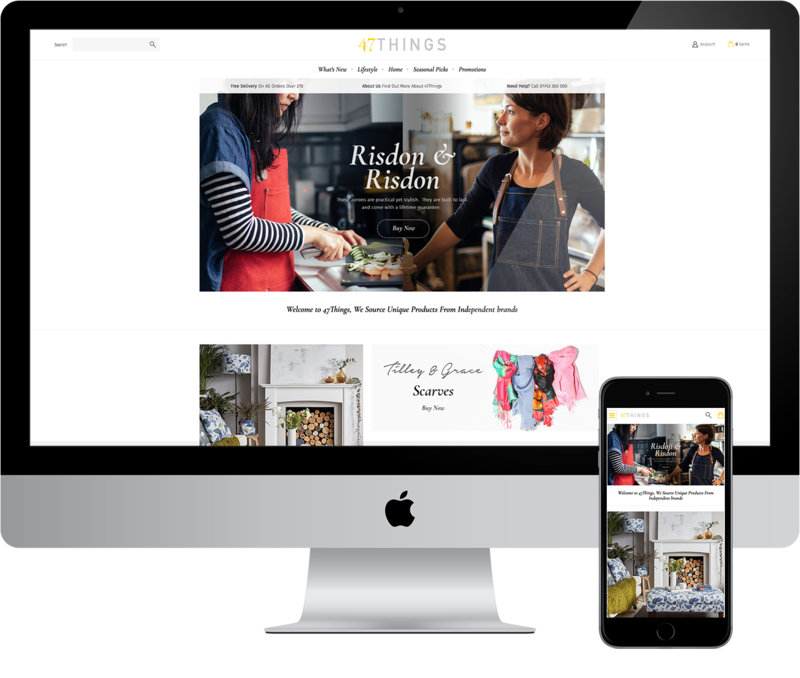 Magento 2 allows for straightforward stock management and an integrated WordPress blog keeps new customers in the loop with a personal touch to the business and the launch of new brands. 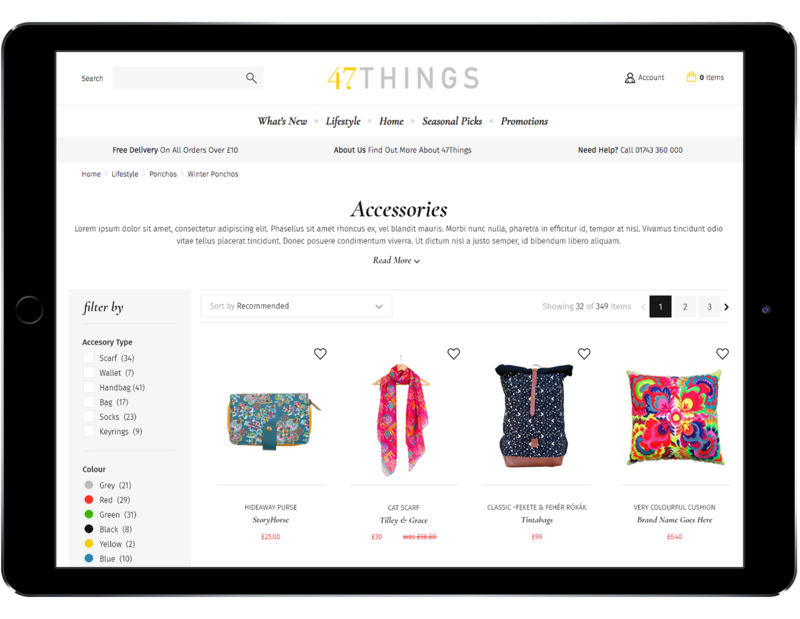 Having decided on the concept of 47Things as online retailer of quality homeware and gifts, I wanted to engage an agency who I could work with to manage the process of making my vision a reality. Having met with a number of local agencies, we decided that Verve offered us the best overall package in terms of creativity, website development expertise and marketing support. The team have delivered what they promised, on time and within budget. We have already received a lot of positive feedback in relation to the design, functionality and ease of navigation around the website which is very pleasing. 47Things.co.uk is now live and I would have no hesitation in recommending Verve based on the excellent service and skills they have delivered over the past 6 months.